If you think you’re busy – you won’t believe how many hours a week children are working! In fact, it’s 46 hours a week (9 hours more than the average adult) leaving only 1 hour 29 minutes a day free…which seemed a little out of kilter to us. 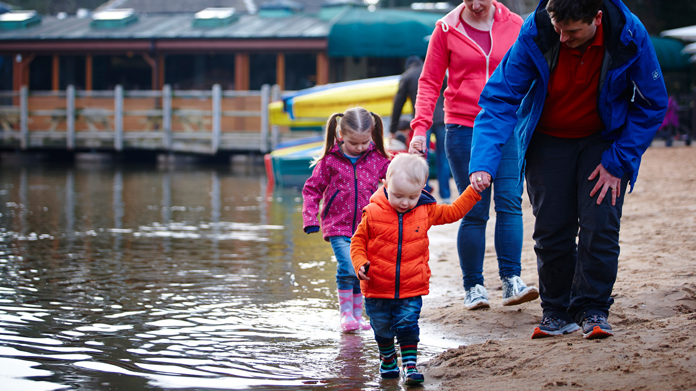 So Center Parcs, famed to be the perfect spot for a family short break, teamed up with Channel 4’s ‘Secret Life of 4 & 5 Year Olds’ child psychology expert, Dr Sam Wass to figure out just how much free time children should have. So … with a lot of research, maths, science and report writing – the Recommended Daily Allowance (RDA) for Free Time was born. We went out and told the world that actually, children should be getting three hours and 51 minutes of free time in order to truly switch off an have the opportunity for creativity and imaginative play – something which is very close to Center Parcs’ heart. And to say it started off a debate is a bit of an understatement with the story so far appearing on the likes of the Daily Telegraph, Daily Telegraph online (twice), Daily Mail (twice), The Sun (twice), The Times, Evening Standard and the Daily Star. And we even got it talked about on the TV and radio waves – with Dr Sam Wass appearing on Sky Sunrise, chatting on Sky News Radio and a plethora of BBC regional stations. With case study requests coming in thick and fast, we think this debate could be rumbling on for a little while yet …!